The Zeiss Interchangeable Mount Set MFT allows users to convert their CZ.2 28-80mm T2.9 lens to MFT mount. 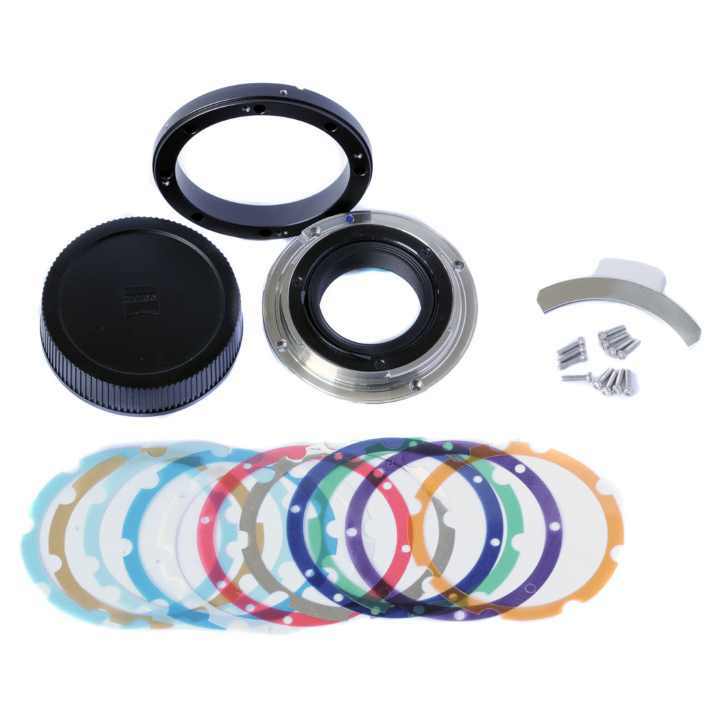 The set includes a MFT mount ring, an adaption ring with support bracket, Torx screws, eleven color coded shims and a rear lens cap. As the flange focal distance varies from camera type to camera type, it is sometimes necessary to make adjustments when changing the lens mount or camera model. In order to perform this adjustment, shims in eleven different thicknesses are provided.